The trend in the use of remotely sensed imagery for mapping land use/cover information has shifted from coarse spatial resolutions and automated information extraction to fine spatial resolution imagery and human visual analysis. Considerable research is directed to developing accurate methods for automatically extracting such land use/cover classes. However, many automated extraction methods, even those claiming to embody perceptual/cognitive principles, are inferior to the capabilities of human visual analysis. A better understanding of how humans interpret remotely sensed imagery would help to improve automated extraction methods, particularly if we claim to develop systems that are knowledge-based, expert, or founded on perceptual/cognitive theories. Researches in image cognition and object-based image analysis have common application goals but dissimilar research goals and approaches. In this presentation, novel approaches using eye-tracking and other perceptual methods for measuring how experienced image analysts interpret imagery are discussed. This presentation is meant to elicit active dialogue on the opportunities for combined efforts in OBIA or cognitive research. Call for Erasmus Mundus Action 2 "gSmart"
Before applying - please check your eligibility and scholarship conditions carefully on the Website: http://em-gsmart.zgis.net! 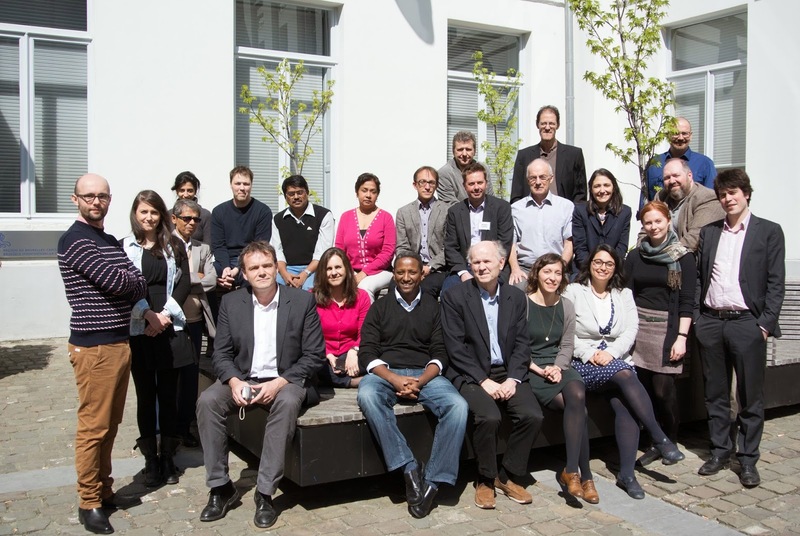 got kicked off at a joint partners meeting from 14th – 16th of April 2014 in Brussels. CAERUS – Evidence based policy for post crisis transition – involves an international consortium exploring the transition from conflict to recovery and development, seeking to identify those policies that maximize the likelihood of a successful transition. The project is coordinated by the Centre for Research on the Epidemiology of Disasters and is currently identifying different case study countries to be used for post crisis analysis. 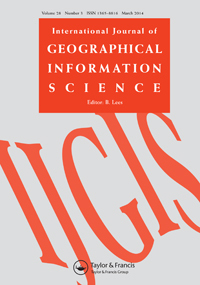 Z_GIS will be involved with regard to quantitative and qualitative methods for education and health studies, and specifically with regard to the Integrative Analysis Services to be developed in CAERUS. This project has received funding from the European Union’s Seventh Framework Programme for research, technological development and demonstration under grant agreement no 607960. 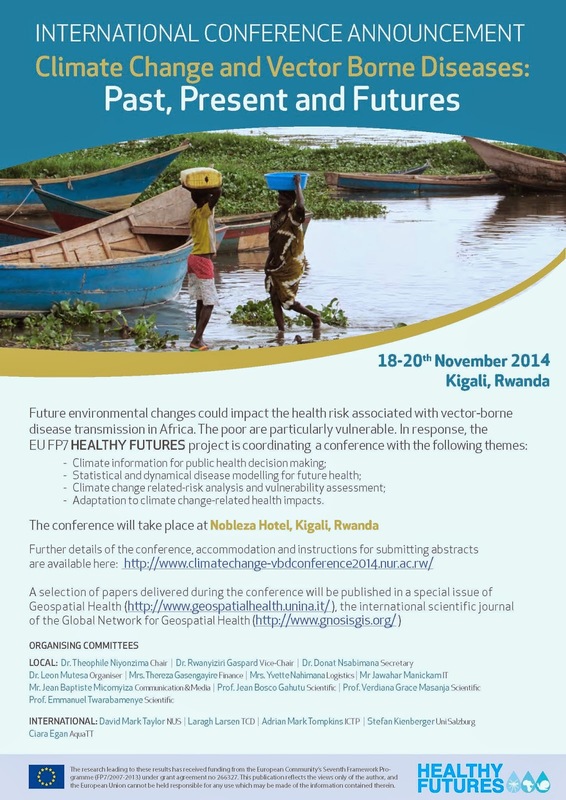 A selection of papers delivered during the conference will be published in a special issue of Geospatial Health, the international scientific journal of the Global Network for Geospatial Health. Ingrid Schardinger successfully defended her PhD Thesis entitled “Räumliche Modellierung und Optimierung regionaler Energiesysteme“ (spatial modelling and optimization of regional Energy systems). Prof. Blaschke served as the chair of the examination panel, Prof. Gerd Peyke (University of Augsburg) and Prof. Josef Strobl acted as discussants. In order to model regional energy relevant structures, geographic information systems (GIS) and spatial methods are used. The potentials of renewable energy in Austria were systematically and the spatio-temporal pattern of demand and supply were illustrated in graphs and maps. One special focus was the regional level for rural areas which are not considered explicitly in most models. One model was developed in high detail for the community St. Roman in Upper Austria where detailed household interviews about energy consumption and mobility behaviour were carried out. Surprisingly, even in a very rural area daily commuting distances are not limiting for a high share of electric cars in the future. We congratulate Ingrid to her performance and wish her all the best for her future career.